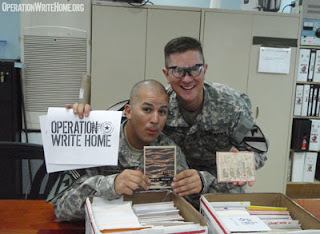 On or about the 21 of September, I rec'd a box of greeting cards from Operation Write Home. Thank you so much for sending them to me. I must say, I have the BEST wife in the world. I would have never thought to find an organization like yours on my own. Truly she is an amazing woman. Perhaps that is why God blessed me with her. God knows I need the help and support that she has been to me. I'm so happy she contacted your organization. Again, thank you so much as you're going to make many of our soldiers smile. Our card selection in the post exchange isn't very good. We only have 4 sections to choose cards from and the good ones get taken right away. 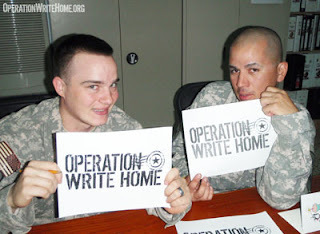 You and your supporters are awesome and what a blessing you've become in making a difference to a soldiers life. Now I can send my wife a real Anniversary card and a real Birthday Card to my 2yr old son. Thank you so much for the cards. You responded so quick it was absolutely amazing. I believe the box was here about a week after I sent you the email. And you very much for the personal card and the inspiring words. It is amazing to me how many cards you send in one box and support so many units. You must have a whole lot of people making cards to produce all the cards you all send out in a month. The folks here love them. They are indeed absolutely gorgeous cards. I am very impressed and amazed. Again, thank you so much. I pray God's continued blessing upon you. 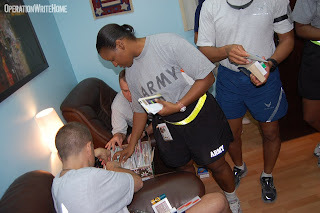 I thought you would like to see a couple of pictures of service members selecting your wonderful cards - they really are a HUGE hit here! We can't wait for the next shipment to arrive! 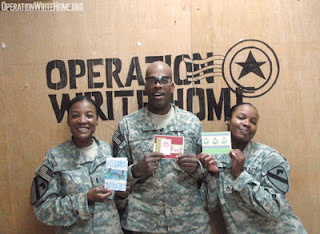 Thank you so much for the cards...I just arrived here and have seen the impact the cards have on our troops. What a blessing! May God continue to watch over and bless your outreach...OBTY, plz keep them coming. A message left by a hero in our Chatbox on our page here! I got a box yesterday with so many cool Halloween Cards made by the many folks who are supporting us while we continue this trip to the desert. 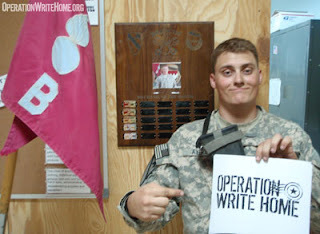 We appreciate all the Hero Letters too! Hello! How are you? I hope that this email finds you doing well. What's new with you? We just received the box you sent and they are a total hit! They are just so beautiful and creative! We were impressed with the origami like cards that you pull out on the front cover to reveal something else. All of them are just really great pieces of art and we're so happy to be able to send home something unique and wonderful! Yes please add me to your list of regulars since these cards really go fast! 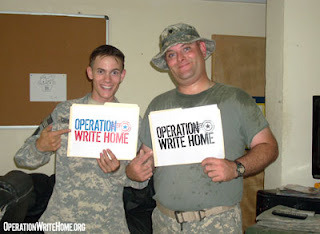 Word gets out fast on our FOB and they have been going quickly! Also if there are any farewell or good luck cards, they would be great since we have some service members who are leaving us and we'd love to give them farewell and or good luck cards. The love you cards, thinking of you cards, miss you cards, blank cards, etc are so popular sinc we can send them out any time. 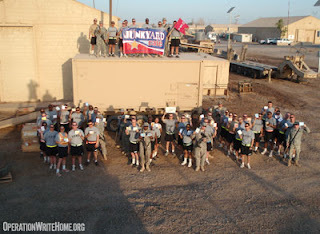 You are really helping keep the spirits up on our FOB since communicating with our loved ones means so much to all of us. Please thank all of the talented artists who make all of these wonderful cards from all of us here. Thank you so much for all of your kindness and support! I just wanted to let you know that we got them today. You also wanted to know how many soldiers are present in our unit. We cannot give out that type of information but I can say this we are a BN* size element. 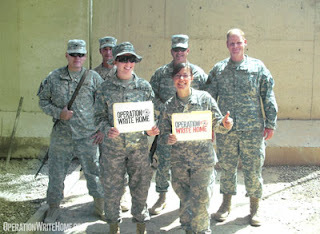 Thank you so much for all that you do, we appreciate all the hard work that this organization does for the soldiers! Thanks so much we just recieved the box of cards. Happy birthday! Tell everyone thank you for the halloween cards! We recieved a few of your cards actually addressed to us in the medical center. Thank you! So many of the cards and letters we recieve are for our patients, most waiting to fly to Germany for more definative care and it was nice to recieve cards addressed to the staff. Thank you, again! I just wanted to thank you for another box of cards. They are always greatly appreciated! Congrats on the new name as well! Thank you for the wonderful cards! 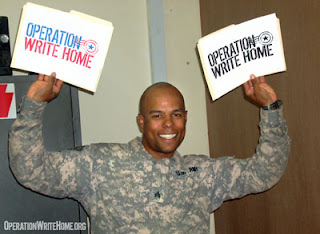 They will be put to good use by our troops to send to their friends and families far away. I know that it is important to me to keep in communication with my wife and children. Thank you for your support of our armed forces. Some of our units put out long and detailed newsletters (not publishable here), but here's an excerpt with some interesting tidbits! Q: Do you receive the mail that we are sending? A: YES, and it is GREAT! It takes approx. 2 weeks for the mail to arrive on our door step. Q: Is it still hot there? A: Yes. But it is starting to cool off a bit. Most days are around 95 – 110 degrees with the night time dropping to about 85 to 90 at 8% humidity. 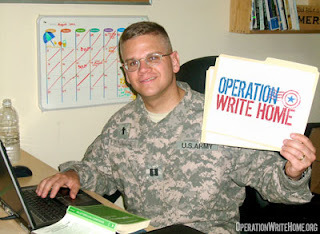 Q: Are there any improvements to your FOB? A: YES! The coffee shop has been relocated closer to our building, the road has been completed all the way around the airfield (no more P.T. running in the dirt), all the LN shops have been moved closer for our shopping ease, and we are looking forward to a new education center sometime in October. Q: Do you get any days off? A: Kind of. HQ Personnel, CO, XO and 1SG excluded are granted a “day off” on Sundays, meaning that they are allotted to sleep in, wear PT’s all day and not technically show up to work unless needed. They are extremely important to the Company and are needed a lot on their day off, but they usually get to go back to relaxing once they have “put out the fire”. 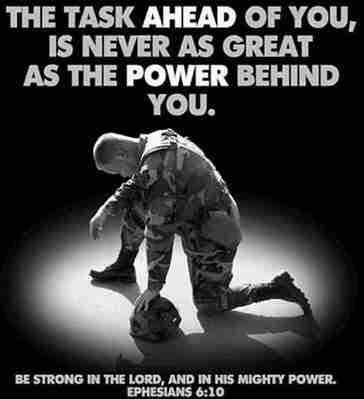 This allows for all of the Soldiers to attend Church, take care of personal matters, and get some well deserved rest. Thank you very much for the beautiful hand made cards you sent to our unit. 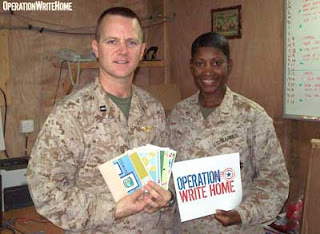 All of our friends and family will not only be surprised to receive such nice cards from out here in Afghanistan, they will also appreciate the support that people like you show to service members. I hope all is well back home for you. 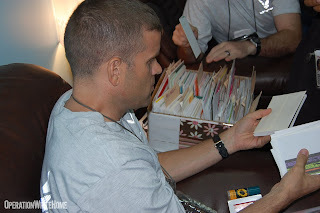 Just wanted to let you know that we received that box of cards and beautiful letters ... It had me in tears :( Thank you so much for all that you do and everyone that was involved ... If you could pass that along from all of us we would be most grateful. As soon as I know who my replacement will be, I will give you their information. I hope that you have a safe & great Labor Day weekend. When we got to the FOB on our first day here, I had a soldier ask me where could he get a birthday card for his little boy? The nearest Aaefes shop was 30 miles in the other direction of where we came in. Being the new MRW NCO I had to think of something. Lucky for me your groups cards where already here at Torkham. The look on his face when I gave him the Winnie the Pooh card almost made a grown man cry. Keep up the good work guys! Thank you soo much! Well guys, first of all I want to say THANK YOU for doing this for us. Cards are awesome. I got few from my chaplains office last week. 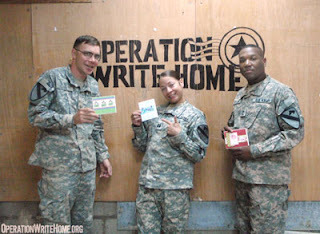 I work at the command battalion and would like to have box of cards for soldiers when they come in and sit in the day room to wait for CMD , I already have snacks and drinks for them, so I thought it would be nice if they could grab a card and send a note back home. I'm writing you now hoping to get some by Christmas time. Not sure what size box we might need. 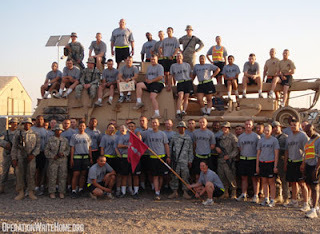 My unit is small however since I work at the battalion we have 9 units under us. SO guys decide what you can send. I love all of you for what you do for us. God Bless and be safe. Once again I have to say that thanks isn't enough for everyone out there who is putting forth so much effort to remember our military members who are so far away. 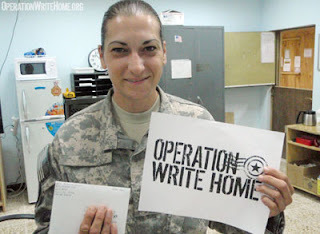 Our families sometimes feel forgotten but because of your effort they are the very lucky recipients of all of your hard work.We wait at home for that next call, e-mail or letter. When these beautiful cards arrive we know that people are out there thinking about us and what we are going through too. Keep up the great work! 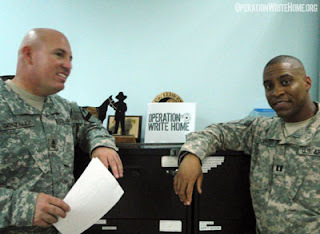 My name is SPC Vidzro with the 395th CSSB currently deployed in Q-West- Iraq. I am sending this email on behalf of Chaplain N.
She wants me to let you know that she has received the cards. I personally also want to say a big thank you for what you people are doing for us. 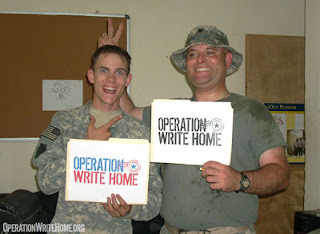 It goes a long way in helping some of us get in touch with family members back home. God bless you for your time and efforts that you put into making these cards for us.